Video still. Video was taken in Fort Benjamin Harrison State Park in Indiana. 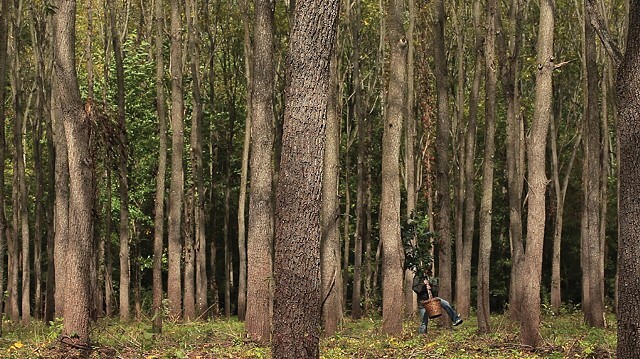 These trees were originally planted for manufacturing purposes by the military. I am planting and then uprooting the tree in this video.